The folks over at Draft Magazine have a thing for 30th Street and nearby Adams Ave. Ritual Tavern and Hamilton's were honored in the 'Best Beer Bars' issue January 2009. 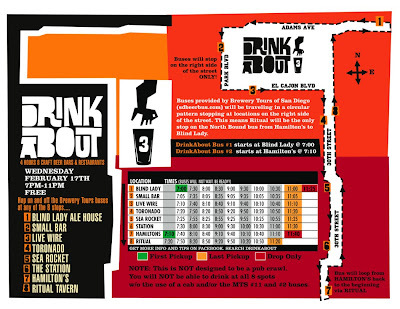 The current 2010 issue repeats the love for Hamilton's and adds Blind Lady Alehouse into the fold.